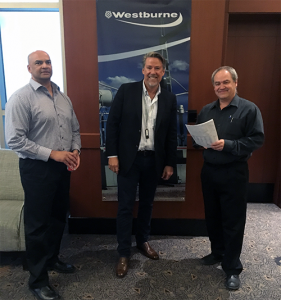 Westburne’s Automation team recently hosted its first cyber security symposium in Calgary, Alberta focusing on cyber security in the electrical industry. 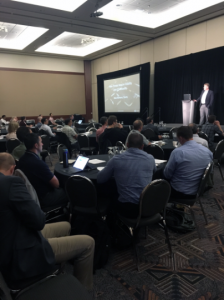 In conjunction with industry leading operational technology partners, Westburne presented a symposium on technologies, processes and practices designed to protect networks, computers, and data from attack in the industrial space. Brian Richwine with Claroty Networks who discussed the options available to uncover advanced cyber threats and malicious activity and how to utilize real-time monitoring to detect human error and operational issues. Gary Fort with Stratus who discussed why the host is critical when implementing Cyber Security in Operational Technology. Robert Barton with Cisco Systems who examined the key industrial exploits that have emerged in the age of Cyber Warfare and discussed the best practices that can help protect critical assets from cybercrime. Bill Behn with Tosibox communicated that IOT is simply a matter of connections, our mission and passion is to create the world’s best and most secure remote connections between devices. Jeff Brown with Process Control Systems presented Industry best practices for Industrial Control System (ICS) security. 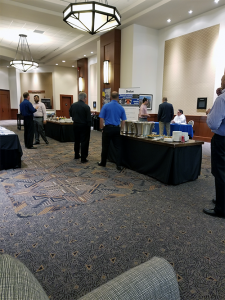 The event had over 35 customers in attendance and created discussion around cyber security within the industry.